At its best, automation technology completes redundant or habitual tasks, allowing people to focus instead on other, more creative aspects of a project. A new music software program promises the same by using artificial intelligence and machine-learning tools to aid in music composition. Hexachords' Orb Composer places AI directly into the hands of the musician, beatmaker, and composer. Whether you're a novice, experienced, or advanced music maker, the program offers a range of tools to conceive musical ideas, test them out, and orchestrate your arrangements. Orb allows you to begin an idea with thematic blocks, which can then be arranged and built upon. Orb Composer's Structures use the syntax of musical sentences, such as "Question," "Answer," and "Answer based on question," to build motifs and movements. You can pick harmonic information within the onboard chord database, test chord progressions from there, and easily decide what does and doesn't work. 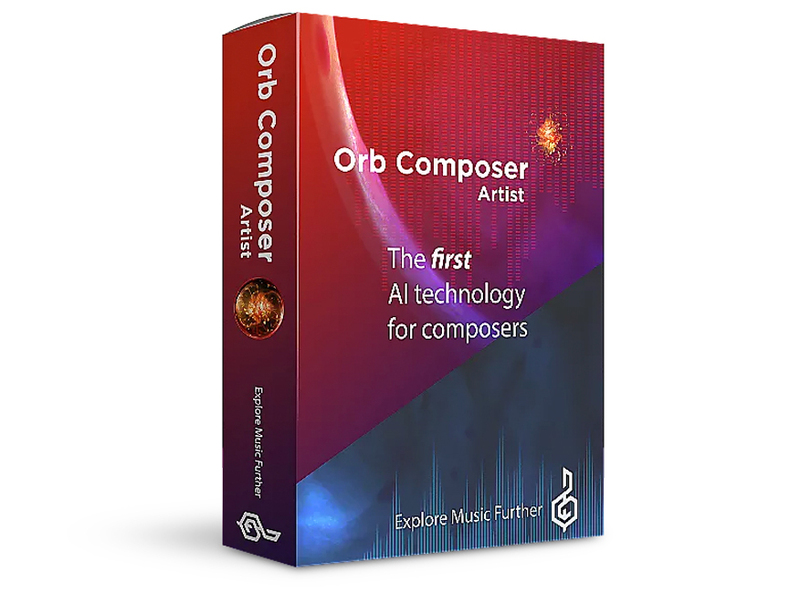 Containing a huge sound palette, combined with a whole orchestra of instruments to choose from, Orb Composer allows you to get from initial inspiration to sophisticated creation quickly. Could this be the digital audio workstation of the future? 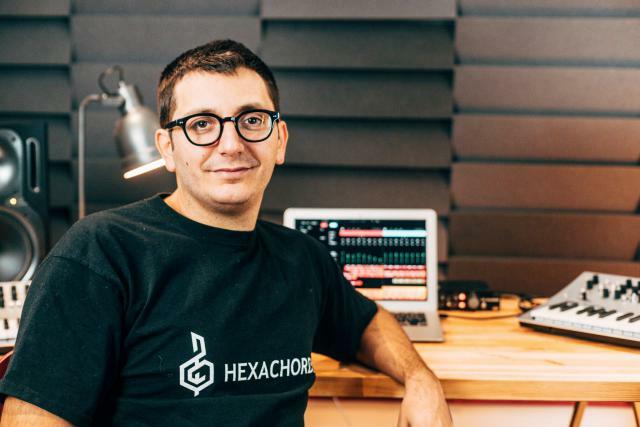 We recently got a chance to speak with Richard Portelli, founder and CEO of Hexachords, to ask him about this new way of music-making, the developments leading up to this product, and what he sees for the future of music composition. Can you give us a little bit of a background on yourself as a developer and Hexachords as a company? I'm Richard Portelli, and I'm a physicist by training. I went to l'École Normale Supérieure to study physics from 2005 to 2010, and it was during my studies there that I had the chance to think about how to automate certain repetitive musical processes. I then worked for several years as a developer and IT project manager before dedicating time to my own project. Is Hexachords your first music software development project? Absolutely. As early as 2012 I had been working on it by developing some ideas. Hexachords France, the company, was launched in 2015. Hexachords Orb Composer offers the Artist Edition and the Pro Edition—can you share more with us about these two editions, their features, and who these editions are designed for? With these two versions, we have two different philosophies. The Pro version is the ultimate version, which contains all the orchestral parts, all the classic rhythms, but also many different types of chords and embellishments. Soon, we're also going to create an update that will bring all chord inversions to the Pro version for even more possibilities. The Artist version is for people who never do orchestral work, who prefer to work on things that, from a composition standpoint, are simpler—where there are only classic rhythms in 4/4, major chords, and diminished minor chords. This version is also meant for musicians working on pop-rock or electronic music. A heads-up, though—this isn't a limited version meant for beginners. 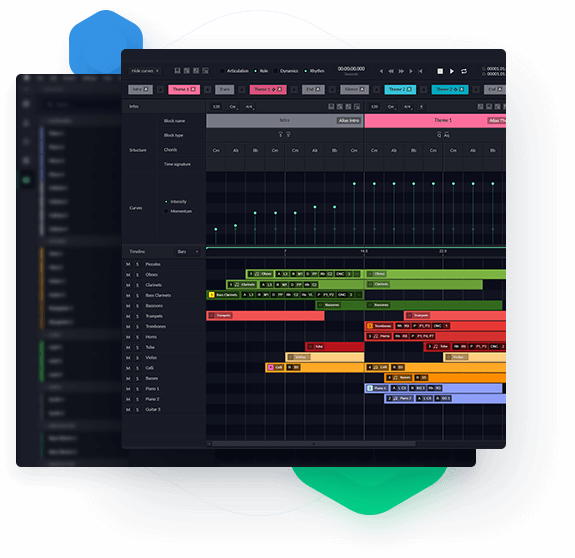 It's more that the Pro version is really intended for composers with a more classical background and a more complex usage of the different signature sounds and the available tools. What's interesting is that it's possible, with just a click, to go from a 4/4 rhythm to a 7/8 or to change chords. That really opens up new horizons for people who maybe didn't even think of these options at the outset. How long have you been working on the development of Orb Composer, and what types of technologies were utilized along the way for this product, including any patented technology? The product took six years from the earliest beginnings of the software. As for the technology involved, we use two types of AI: machine learning, as a method to study the patterns of the music, and then an extra layer called "System Expert," which is a more algorithmic branch that simulates the way that a composer can write. A composer can say to themselves, "What orchestration should I choose? How am I going to think about it?" That's the purpose of this AI layer. Machine learning is actually a bit of a black box, and it's because of this that we chose to use these two layers. You know what's coming in and what's going out, but it's impossible to follow the process in between. Essentially, you can ask it to create some music, but if you wanted to add more violins or change something, it's impossible to do that with machine learning, just by the very nature of the technology. What kind of factors went into your decision to create the Orb Composer? What was the design concept here? That's a very good question. Actually, we started out with a pretty thrilling concept—the ability to make music from nothing. But then that raised the question: What do we make, and who is it for? So we decided to build a product for composers. The overall concept was to position ourselves higher up the ladder than other current products. Of course there were products like Cubase that you could do everything with, that weren't really tools for composition, but that you could use to compose. There are also far more complex tools that make it possible to control billions of parameters down to the millimeter. As for us, we wanted to make a tool with fewer controls, but that allowed for rapid testing of musical ideas. For example, the choice of instruments, the mix of instruments and articulations, the range. We wanted it to be easy to say, "Okay, so what does that sound like if the violins enter in measure three instead of measure two?" And then it would be easy to apply that change in just a few clicks. The software is already used in plenty of different ways. Some just use it to test out their ideas, to find chords, progressions, and to then start fresh with their composition. Other people use 90 percent of what comes out of Orb and then re-adjust or create their own melody from that progression. What can users expect from this software? What types of musical problems will this solve or improve upon? As far as a defining feature of this software, it's not easy to answer this question. In reality, this software can fit several different profiles. For example, we have people who want to get into music who buy the software and then can use the software without any concept of notes, just with settings or musical tastes. Orb Composer provides a fun way to experiment and learn on your own. We also have clients who teach music and use the software as a teaching tool for their students. If you wanted to illustrate a chord progression, you can do it directly with Orb Composer. Finally, we have a lot of composers who write music for the screen who have huge constraints and really tight deadlines. It saves a lot of time for them to use our software. For me, the key point of the Orb Composer and our strongest point for this software is the ability to instantly test musical ideas. In one click, you can instantly change the whole musical backdrop. What is it about this emergent technology—AI and machine learning—that's exciting for you, and for the music production community at large? As more and more people opt for this way of working, composers are becoming more and more open to the technology. Mentalities are changing. AI will never replace musicians. It's easy enough to see what we've done with the game of chess, where the greatest players battle against AI, but no one has any desire to watch a match between two AIs, just like no one would want to go to a concert given by a computer. A composer's music has context, and is a vehicle for emotion, which AI is not capable of reproducing. What sets apart Hexachords Orb Composer apart from other similar products on the market, such as Loopmasters Scaler, and Mixed In Keys' Captain Chords? These plugins only work locally. They let you work on specific points, but they don't give you an overall view of the music. We offer a tool that can create a mockup from musical ideas. This isn't just a simple chord progression generator—you can create blocks of music, and you have all the orchestra at your fingertips. 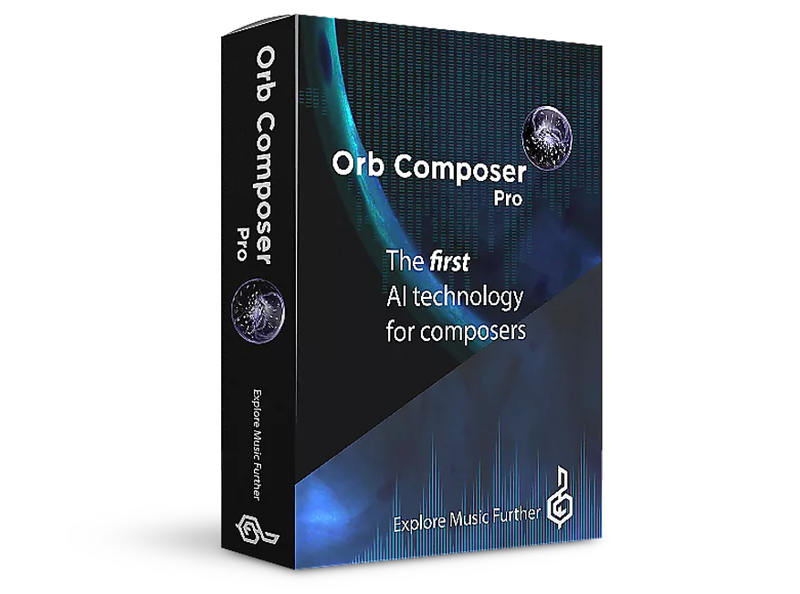 What will determine success for the Orb Composer product line? We're really focused on our customers, and the next update will implement several suggestions made to us. It's our strength to be able to quickly and precisely react to a request. Product improvement is really our top priority. Who are some key artists, composers, and educators that have been early adopters of this product? The first artist to have tested the Orb Composer was Jean-Michel Jarre, even before beta testers. He had an extremely unstable version. It was he who contacted us directly. He's quite nice, kind, and talented. It was our pleasure to be able to exchange ideas with him, and he was one of our most faithful contributors for suggestions for improvements. Where do you see the art and craft of music composition and production headed in the next five to 10 years? Thanks to these tools, I think more and more people are going to take up music and composition. Music is certainly going to change, but so is the learning process. What are Hexachords' plans for the future of music-making? We have a lot of ideas, to be honest with you. What's near and dear to us would be to introduce our technology into other arenas, such as video games. There are several connections between these two worlds. The technology can bring a lot to video game music composers. Right now, music is often the last thing to be added, so the ability to integrate directly created music could give a completely new direction to the music at the heart of the game. The possibilities are endless in this domain.